1) Svetozar Pejovich, “The Effects of the Interaction of Formal and Informal Institutions on Social Stability and Economic Development,” Journal of Markets & Morality 2, no. 2 (Fall 1999): 164-181. The purpose of this paper is to develop a testable theory—the interaction thesis—capable of explaining why there are differences in economic stability and growth rates between various countries; or, stated negatively, why less efficient countries do not duplicate the economic policies of more successful ones. The interaction thesis identifies the interplay of formal and informal rules as a principal factor affecting economic stability and growth rates. Furthermore, the thesis also sheds light on how the method of choosing formal rules is a major circumstance upon which the interplay of formal and informal rules depends. 2) Joseph F. Johnston, “Natural Law and the Fiduciary Duties of Business Managers,” Journal of Markets & Morality 8, no. 1 (Spring 2005): 27-51. Recent business scandals have focused attention on failures of corporate governance involving serious breaches of traditional legal and ethical standards on the part of those who manage corporate affairs. This article argues that the legal standards applicable to managerial behavior are traceable to deeply rooted moral standards that are the basis of the “fiduciary principle”; that the fiduciary principle is a principle of natural law that has been incorporated into the Anglo-American legal tradition; and that this principle underlies the duties of good faith, loyalty, and care that apply to corporate directors and officers. The fiduciary duties of corporate managers run to shareholders and not to creditors, employees, and other “stakeholders.” This article further argues that corporate directors cannot eliminate their fiduciary obligation by contract. Enforcement by the courts of longstanding fiduciary standards of conduct is a better solution to problems of corporate governance than increased government regulation. 3) Eduardo J. Echeverria and Gregory R. Beabout, “The Culture of Consumerism: A Catholic and Personalist Critique,” Journal of Markets & Morality 5, no. 2 (Fall 2002): 339-383. In this article, we present an understanding and critique of consumerism in the tradition of Christian social thought that is both Catholic and personalist. We consider various approaches to the problem of consumerism. Is consumerism simply the necessary result of the modern capitalist economy? Is it, from another perspective, simply the reflection of our culture’s overall worldview? In answering these questions, we examine briefly five approaches to consumerism, that of John F. Kavanaugh, S.J., David F. Wells, Christopher Lasch, Gabriel Marcel, and John Paul II. Each is critical of consumerism, but their approaches bring out different aspects of the problem of consumerism. 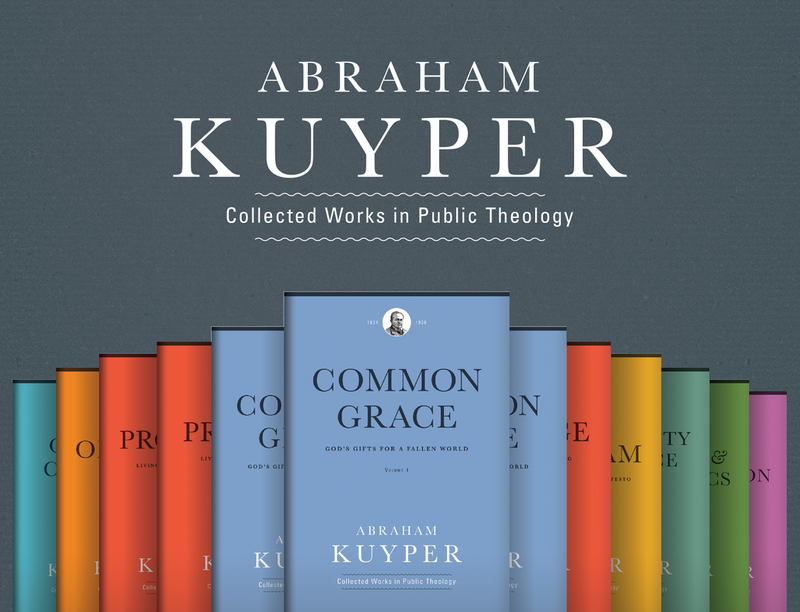 We also sketch an anthropology of Christian personalism. We do so because the culture of consumerism betrays significant confusion about the nature of the human person. This is followed by an account of the concept of consumerism. Finally, we clarify a personalist understanding of the relation between consumerism and the market economy. 4) James E. Alvey, “A Short History of Economics As a Moral Science,” Journal of Markets & Morality 2, no. 1 (Spring 1999): 53-73. The essay that follows shows the genesis of economics as a moral science and chronicles some of the developments in mainstream economics that metamorphosed the discipline to the point where moral concerns are now irrelevant. The first section presents a brief overview of the connection between economics and moral philosophy before Adam Smith. The second section presents some brief points about Adam Smith’s science of economics. The third section turns to the developments in economics from Smith’s time until 1900. The fourth section sketches the developments during the present century. The final section presents a summary of the argument. 5) Carmine Gorga, “Toward the Definition of Economic Rights,” Journal of Markets & Morality 2, no. 1 (Spring 1999): 88-101. 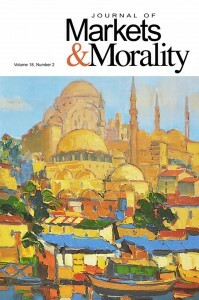 Why the Journal of Markets & Morality?